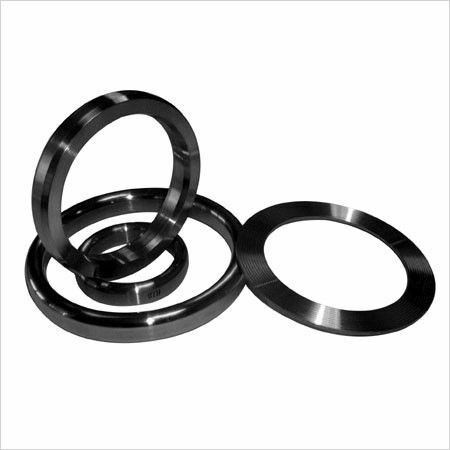 Dave Ring Type Joints (RTJ) are precision machined, metallic sealing ring suitable for high temparature and pressure application. 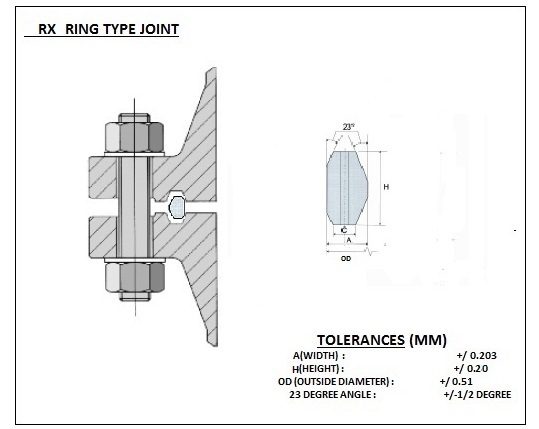 Ring Type Joints can be produced in any sutable material depending upon the application. Material selection should be selected keeping in mind that it is softer than the Mating Flanges. Below is the table for maximum allowance in hardness for the material commony used for Ring Type Joints. 1.Measured with 3000kg load except soft iron which is measured with 500kg load. 2.Measured with 100kg load and 1.6mm diameter ball. 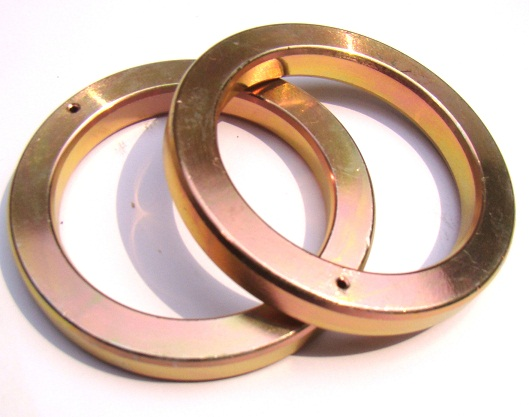 Soft iron & low carbon steel ring type joints are protected with electroplated zinc. 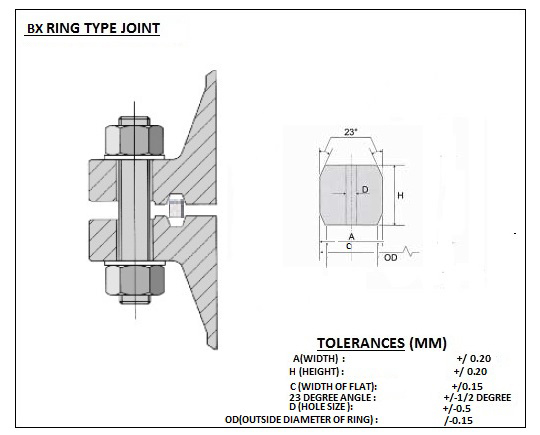 R type Ring type Joints are designed for flanges with standard ring typegrooves. Oval Ring Type Joints are processed to an oval cross section. It is used for high pressure pipe flanges, vessels and valves. These Gaskets are manufactured to API 6A of ASME B16..20 to suit API 613 and ASME/ANSI B16.5 flanges. 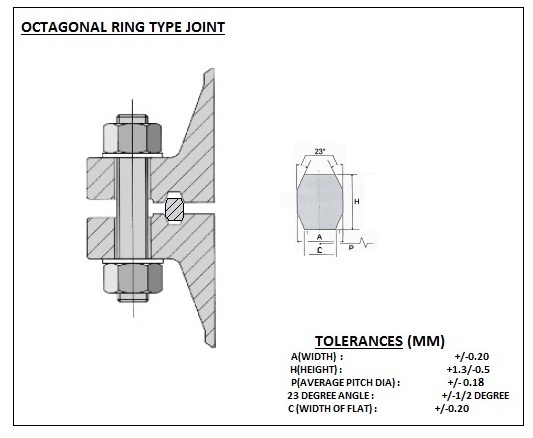 Octagonal Ring Type Joints are processed to an octagonal cross section. 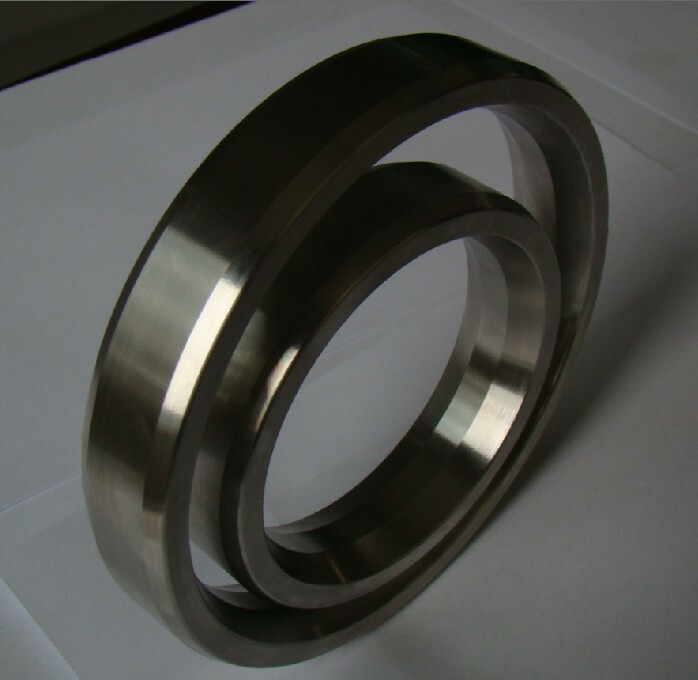 It is used for high pressure pipe flanges, vessels and valves. These gaskets are manufactured to API 6A of ASME B16..20 to suit API 613 and ASME/ANSI B16.5 flanges. RX Type Ring Joints are designed to fit the same groove as a standard style R which makes the joints interchangable. 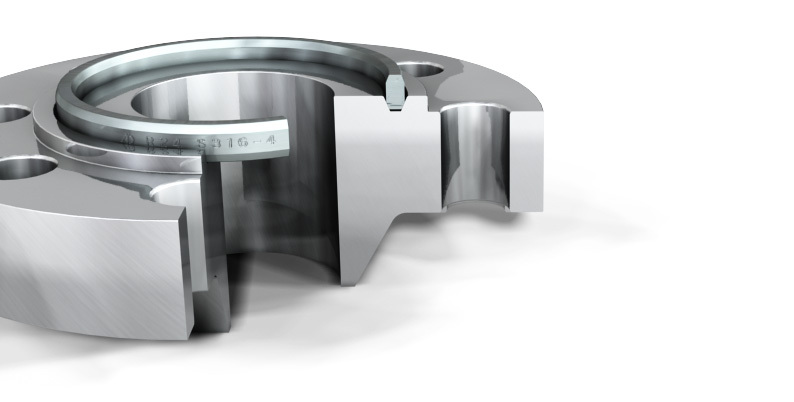 The stand off distance between the mating flanges will be grater, Thus utilizes the internal system pressure to improve seal when there is an increase in pressure. The larger sized RTJ have a pressure balance hole to equalise pressure. 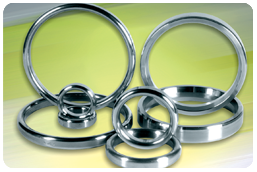 Style Bx is not interchangeable with any other style and is suited for API6BX flanges. Style BX is gives tightened face to face contact, thus the gasket is trapped from both the sides. This gasket alos has a pressure balancing hole to ensure equalisation of pressure which might get trapped inside the grooves.